If nothing else, at least Ted Cruz is entertaining. On Friday, the Texas congressman and 2016 presidential candidate announced that Senate majority leader Mitch McConnell had lied to him and the rest of the Republican party when he promised that he would not dole out political favors in exchange for support of a move to relieve the Export-Import Bank of some of its 10-year, $2 billion deficit. After McConnell ignited movements to do just that on Friday morning, Cruz, who is a vigorous opponent of the bank, took to the Senate floor and claimed that the Kentucky senator had become just like his opponent, Harry Reid, by attempting to suppress discussion of the issue. "I cannot believe he would tell a flat-out lie," said Cruz from the lectern. "What we saw today was an absolute demonstration that not only what he told every Republican senator, but what he told the press over and over again was a simple lie." 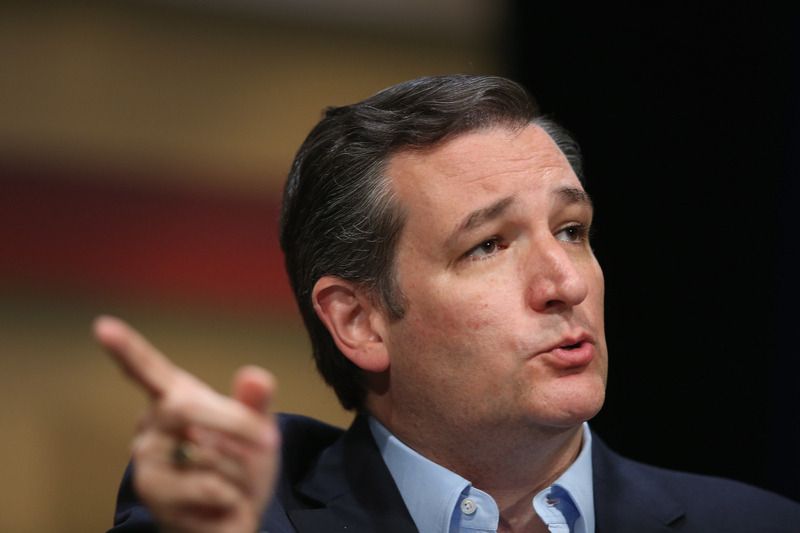 Cruz added that party leaders had joined arms to "team up against" American taxpayers. As Politico pointed out, it was an unwise gamble at best. According to the Senate rules, said the outlet, "... no senator in debate shall, directly or indirectly, by any form of words impute to another senator or to other senators any conduct or motive unworthy or unbecoming a senator" — in other words, everything that Cruz did while calling out McConnell on the Senate floor on Friday. Cruz, of course, isn't one to stand on decorum. His entire campaign is built around the premise that Washington D.C. is broken and that he's the one to fix it. With heavy Tea Party and right-wing support behind him, bucking the status quo and having it out with the leadership that supposedly ran Capitol Hill into a roadblock logistically makes sense. It's Cruz's delivery that's lacking. In a visit to Fox News' Hannity on Wednesday, Cruz pulled out the big guns, applauding braggart billionaire and fellow 2016 candidate Donald Trump for "taking on the Washington cartel" and being "willing to speak the truth." Explaining to host Sean Hannity why he believed Trump's poll numbers remained strong, despite his recent missteps in the press, Cruz declared, "He’s bold and brash. ... I appreciate Donald focusing on illegal immigration. I've been proud to defend him for focusing on illegal immigration." Cruz said he believed that Trump's focus on sanctuary cities and Mexican immigrants had placed him above his fellow candidates, many of whom were "in bed with ... lobbyists." Trump's stranglehold on most major polls may look like an easy ticket to the Cruz campaign, which is likely looking to follow in the steps of a surging front-runner early on, but it has yet to do anything for Cruz himself. A recent Public Policy Poll out on Wednesday indicated that Cruz, despite his vocal support of leader Trump, has garnered only around 4 percent of prospective voters — that's 15 percentage points behind Trump himself. So far, it seems, jumping on the bandwagon with such a volatile candidate simply hasn't helped. With contentions between anti-establishment Cruz and GOP leaders growing more and more tense as election season moves into high gear, Cruz would do well to ignore the fireworks surrounding more audacious Republicans and focus his efforts on gaining a unique foothold in the conservative marketplace, rather than hitching his wagon to anything that might potentially earn him 15 extra minutes of fame.